When I opened up the box for the first time I actually let out a little squeal of excitement as these are the very first Tom Ford products I own and will probably will ever own (unless I get my hands on some of the gorgeous makeup!) Down to the packaging, these sunnies are seriously luxe. I opted for the black frame and darker grey gradient lens (which are polarised) and I think they look so darn chic. 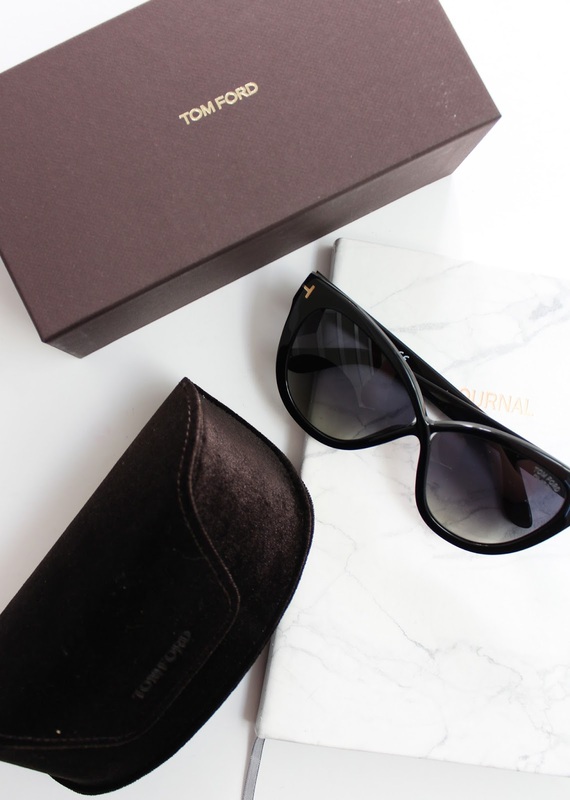 The glasses come in this luxe AF brown velvet case which is a bit cumbersome and not the most handbag friendly, but when we are talking about $400 sunglasses, one needs a good case for them! Check out Smart Buys Glasses for their range of Tom Ford glasses, and a wide range of other designer glasses and sunglasses. You might know that I adore the Chamomile Cleansing Oil (it has been featured in a Most Loved before and in a few Empties posts in the past). It feels amazing on the skin and melts away makeup as soon as it touches the skin. While I love the Cleansing Oil, it is difficult to travel with and I wanted something a little easier that isn’t going to leak everywhere, so in comes the Cleansing Butter - a solid oil cleanser that melts down on the skin and removes makeup with ease. It doesn’t leave an oily residue on the skin after you wash off with a warm damp flannel but instead, it leaves the skin looking and feeling super clean. It’s a fab product and a little bit goes a long way with this. I have had this in my skincare stash to try for a while but recently on a whim decided to give it a go. You apply to dry, clean skin (I use it after cleaning), it has a clear gel consistency and you just rub it on any areas where you have blackheads or enlarged pores. For me, I focus this on my nose, cheeks and chin. I don’t know how it works but as you rub it starts to ball up. After about a minute of rubbing you just wipe it away and you are left with pretty much blackhead free skin that looks really clear. The first time I used it, I was so surprised at how well it worked. It is also really affordable and for acne prone people, this is well worth a try! I love a good eye cream and I have used a lot in the past and not many I go back to. From the first use of this one from L’Oreal, I was hooked. I use this at night, but if you have more mature skin, this would work well during the day also. It has thicker gel sort of texture dispensed through a cooling metal tip that just makes the eye area look a lot plumper and hydrated than most other eye creams I have used, purely down to the addition of hyaluronic acid. It’s a beautiful formula to use and I would definitely buy this myself after I have finished this one. 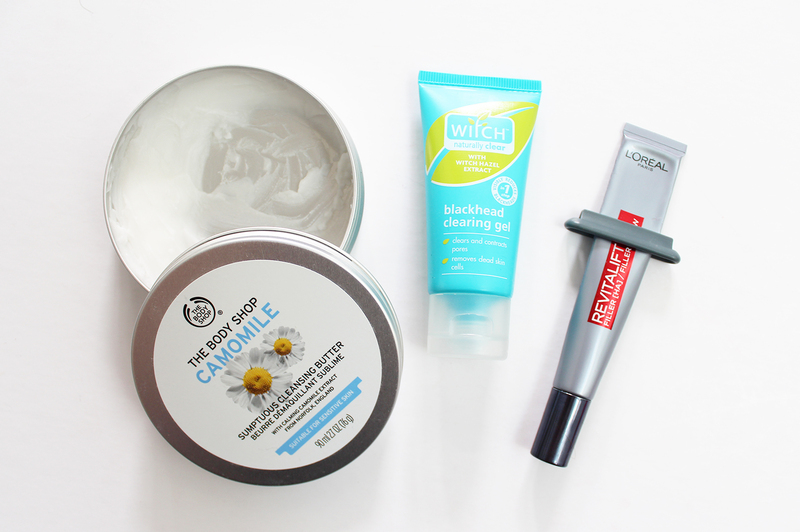 By the way, the grey thing on it is a tube ringer which came with another great eye cream I am testing from Dermalogica, but more on that soon! I first got this in a gorgeous pink champagne shade (Rose Pearl) and love using it and recently got this darker bronze shade to try out. The formula of these eyeliners is seriously so creamy and pigmented but once applied it basically sets down and stays there. This shade is so stunning, with a little hint of metallic to it, but I love using it along the lash line top and bottom to add a bit more depth to the lashes at the base. 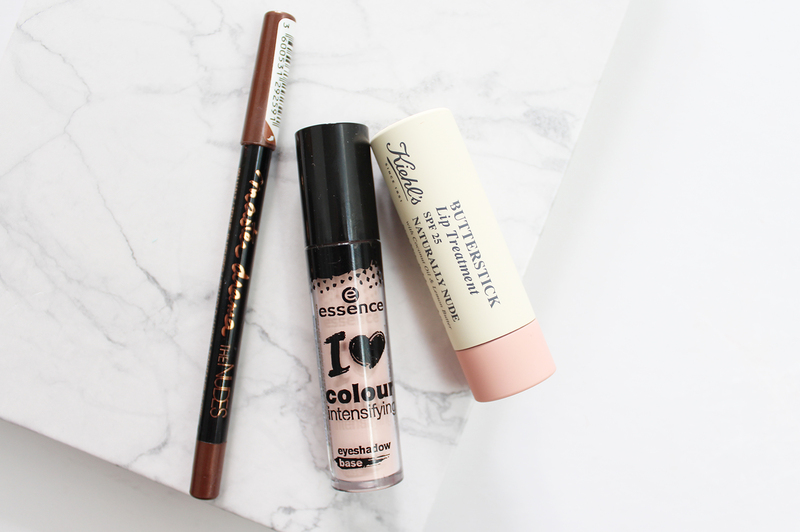 If you are yet to try anything from Essence you are seriously missing out as so many of their products have become staples in my makeup routine and are basically so cheap, it’s almost a crime. I used to be in a good habit of using eyeshadow bases but then I got lazy and would skip them but since using this I apply it almost every time I wear makeup. it helps to neutralise the eyelid colour and keeps eyeshadows in place without fading or creasing for a lot longer. It has a doe foot sponge applicator which I just dot on the lids and blend with my finger. These have been part of the Kiehl’s range for a while, but only recently have they launched four tinted shades, and oh my gosh they are so nice to use. First off the packaging is really amazing, they feel weighty with a slightly rubberised exterior. The lid twists off, so it is always secure and the balm inside is lovely to use. The colour is quite sheer, but as a balm, it feels really hydrating to use. 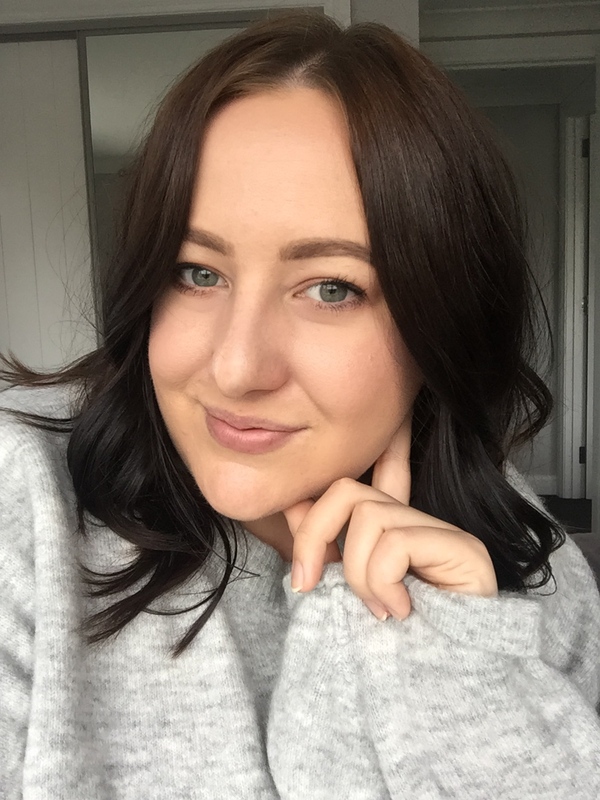 Bonnie is a gorgeous blogger/vlogger from New Zealand who has recently finished her nail training and has opened up her own studio in Remuera. She invited me along to check out the new digs and to get my nails done. I had the appointment booked for almost a month before I went and got them done and was always checking her Instagram to see what new designs she had done for others - honestly, her designs and her work is so incredible. 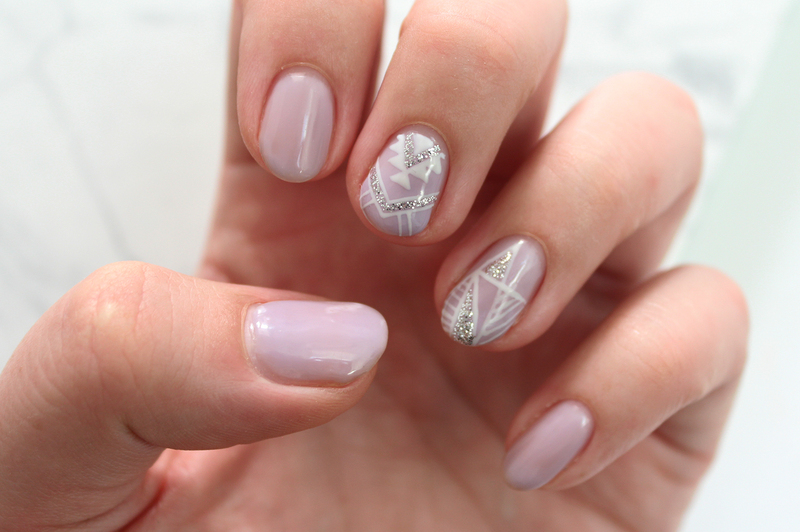 After much back and forth with Bonnie we settled on this gorgeous soft lavender as a base with the most amazing Aztec and geometric design with accents of silver glitter. This was all hand painted and it blew me away watching her precise technique. I have these for a week now and they look just as good as they did back then. Check out her website and definitely book in to get your nails done there sometime. I can’t wait to get mine done again! 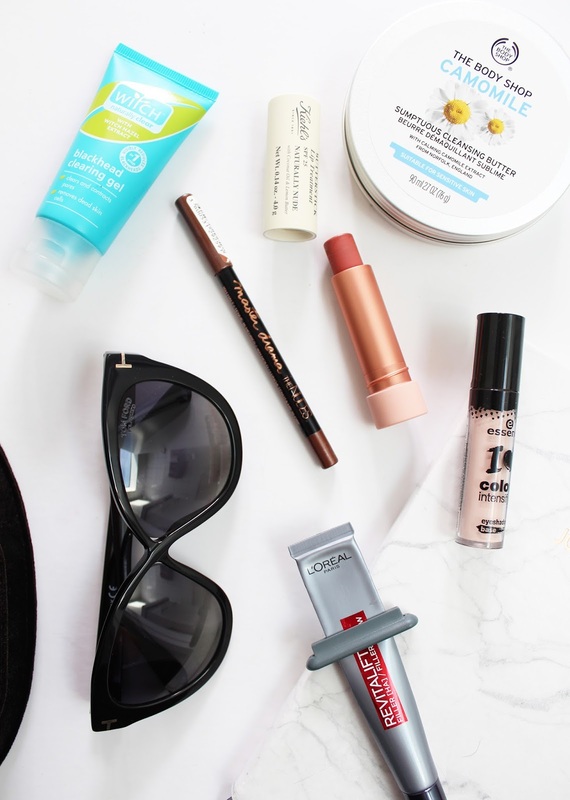 What things or products have you been loving through May?